The Ebola Virus "pandemic" seems to be gaining traction in the Jew spew mainstream media, and as I have stated in several articles concerning this rising fear I am not sold yet that this is a pandemic. In fact I do believe that there is something very sinister when it comes to this sudden Ebola "outbreak", and I am smelling a rat…. First, I have a real problem with this latest Ebola virus outbreak… It is nothing like other forms of Ebola, and this virus has suddenly "developed" many characteristics that its predecessors never had including a much longer incubation period and the ability to survive much longer out of a humid tropical environment. Then we have the information that this form of "Ebola" has a US patent number which is ludicrous for any virus and points clearly to the fact that this form of "Ebola" was most probably manufactured. (If anyone has another excuse for this patent, I am all ears..) And if anyone comes to the conclusion that it is indeed manufactured, we only need to look no further than that so called "research" facility in Sierra Leone that was funded by the ultra criminal elitists, Bill and Melinda Gates as well as the man who I call "Dr. Evil" George Soros himself. When anyone puts the pieces together, they see what I am seeing… A manufactured and weaponized form of "Ebola" that has been created to bring about the much needed world wide "Pandemic" to possibly kill as many as 90% of the entire world's population as clearly outlined by the UN 1974 report on Population control. The other factor that should have everyone up in arms about this "Ebola" scare is the fact that several patients that clearly had come down with this new and improved virus were flown to the United States and are now supposedly in treatment by the Center for Disease Control in Atlanta Georgia. But the facts are coming out that this "patient" was flown to America without the much needed quarantine controls to prevent the virus from being exposed to others. It is also astounding that the US Government had the gall to transport this danger to America instead of having him treated right there in Africa. This does lead me to suspect that this is part of the agenda of bringing the virus to America to have it unleashed on the dumbed down American populace. I am also standing behind my assertions that this new "Ebola" scare is indeed part of the agenda that the criminals in the Obama/Soetoro/Davis administration needs to bring about their much needed threat that they will use to impose new laws including martial law just to take away what few freedoms are left to the American public as well as their only means of defense from their own criminal government which is of course their firearms…. Every other method attempted by these criminals to put in gun control in America has so far failed, and I do believe that this "pandemic" danger is their ace in the hole to finally subdue the American people and bring in their desired reign of tyranny. I am also troubled by the entire Ebola virus "scare" that the Jew spew media is quickly grabbing and running with all over the planet. We constantly hear the lies that this Ebola virus has no cure, which at the present is very much true, but little is said about common sense methods that can be used to prevent everyone from coming down with the virus. One strong method of preventing this virus from taking hold in anyone's body is to simply take a strong daily dosage of Vitamin C if the pandemic threat becomes real. The fact is that Ebola like other respiratory Hemorrhagic viruses needs to have the body stripped of Ascorbic Acid (Vitamin C) before it can do its damage. Therefore keeping the body strong by taking a daily regimen of Vitamin C supplements should indeed do the trick as prevention if and when this "Ebola" threat becomes real. There have been many questions about the recommended dosage of Vitamin C to take, and although I do not have all the answers, but from personal experience my own daily regimen of around 4000 IU, with plenty of water, seems to help myself ward off many viral infections and that would indeed be a decent start…. The war on Gaza by the psychotic state of Israel is back in the news, with the latest fraud "ceasefire" being a failure and another sham… Israel does not want peace with their own creation, Hamas, and instead absolutely wants all of Gaza flattened and destroyed. The 1.8 million Palestinians living in that open air concentration camp are to be left with no future according to Israeli doctrine, with many either sent into permanent exile or outright murdered. I have received a lot of "hate" comments over the last few years for my stance on Palestine, but everything I have said has indeed been the reality of the situation… The people of Palestine have no choice but to fight against the Israelis who are hell bent on having them destroyed. The choice is simple.. Fight back against the psychotic Israelis or accept permanent enslavement or genocide. With those being the alternatives, I know which one I would choose in a heartbeat. The real puzzling thing about this entire genocide being committed by the psychos in Israel against innocent people in Gaza is the continuing blatant lies by the Israelis to somehow justify their acts of genocide. We have already had the "3 Israeli murdered youths" lie fall to pieces, then the "Hamas rockets" lie proven again and again to be a hoax…. Now lately we have had the lies of the "Hamas tunnels" which are impossible with the massive Israeli military lockdown of the entire strip, and the ridiculous "Hamas human shields" reports that were actually proven to be the Israelis using Palestinians as human shields story also fall to pieces….. It does seem that the Israelis are now running out of lies, and instead have more and more fallen back to their "Holocaust" card lie. They have run the gambit of lies and are now trying their tired and sick excuse that Israel is "defending itself" and if Israel does not stand up to the "dangerous" Palestinians, then there is a danger of a new "Holocaust" of the Jewish people. What a load of hogwash and again shows these monsters have run out of excuses and are desperate to keep the entire world thinking that they should support "poor little" Israel. The fact is that the only Holocaust that is happening is the real holocaust of the Palestinian people! The lies continue with the situation in Ukraine, especially with all the false rhetoric put out by the criminal US administration as well as their puppet regime in Kiev itself. But they can no longer hide the fact that their attempt to subdue the Ukrainian people themselves with the lies that life in Ukraine would be so much better since the March "revolution" that turned Ukraine into an American puppet regime. The Ukrainian people have finally been fed up with the Kiev government and have again been marching in Maiden square in Kiev. However this time unlike the March "revolution" where the US criminal government came out and said that the Ukrainian peoples' voice must be heard, this one shows the hypocrisy and criminality of the Kiev regime and their US controllers in that these latest marchers have been labeled falsely as "terrorists" and are being brutalized by Ukrainian government forces. WHY is it the sick revolution that enslaved Ukraine in March is considered "good" by the US government, while this latest push by the Ukrainians to actually get their freedom is considered as "bad"? So much for the actual will of the people…. The news in Ukraine became even more unnerving this last week when it was announced that the idiots running the government here in Canada were sending "nonlethal" military aid to Ukraine, and in fact a C130 Hercules transport actually landed the other day with that "aid" on board. I truly cannot understand how my fellow Canadians do not see this as a blatant act of provocation directly against Russia. And why in the hell are we sending "aid" to a nation that is NOT a NATO member? The last time I checked, Ukraine is not part of NATO, and to send this "aid" is clearly outside of NATO's charter…. I truly cannot figure out the criminal Harper government here in Canada and I am puzzled as to why in the hell they continue to poke the Russian bear…..
And we have all this happen in Ukraine while news about the MH17 shoot down, which was actually the shoot down of the long "missing" MH370 flight suddenly disappear from the media news. 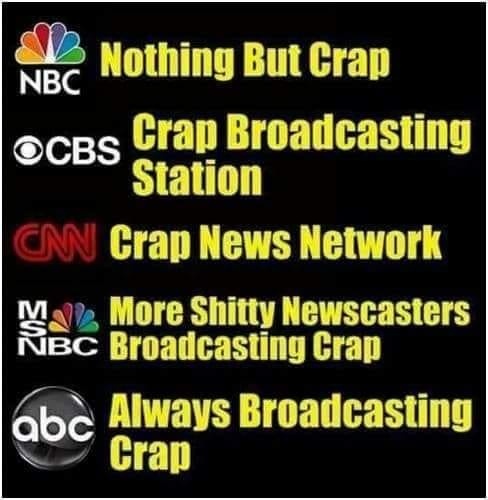 The fact is that the liars in the US government got caught up in their lies and have now been trying desperately to spin the story and distance themselves from the entire failed false flag operation. However strangely they are still using the Jew spew media to harp the false story that "MH17 was shot down by Russia" when all the evidence clearly shows otherwise….. Surprisingly, even with all the truthful evidence that it was the Ukrainian regime that shot down that robotic MH370 flight over Ukraine staring right in the media idiots' faces, they continue to obey their orders and falsely vilify Russia every chance they have…. The truth is of course that the US and NATO want a war against Russia desperately. They know their Ukrainian venture has been a dismal failure and that Russia and other members of the new BRICS alliance are now ready to implode the almighty US dollar. The criminals in the US government are banking on the insane notion that a war against Russia would steer the world away from the Russian Ruble and the Chinese Yuan and hopefully continue to keep the US dollar afloat as the world's reserve currency…. Sadly they are indeed willing to risk World War III to maintain the fraud US dollar hegemony, and care little that such a war would see the destruction of the American nation itself. I feel negligent that I have not covered the news out of Fukushima for the last while, but the news is continuing to be bad… Just this last week came reports of the fact that the melted reactor cores are still very much out of control and that they have been indeed "leaking" massive amounts of radioactive water directly into the Pacific Ocean. This is exactly what I have stated for years now, and that there was no way in hell that they could even think of "controlling" these failed reactors simply because nobody can even get close to the cores due to the massive lethal levels of radiation. And again I point to the fact that containment of any radioactive refuse water from these reactors is impossible because there is no way that hundreds of tons of water that are being still poured over the reactors daily can be placed into containers because the logistics of building and storing such containers is impossible. The only thing that TEPCO has been able to do is to dump the radioactive waste water from day one into the Pacific directly. It does seem that little by little some truths are leaking out about Fukushima, but with the world's attention focused elsewhere, this disaster that is still a serious threat to all of mankind has strangely been put on the back pages….. The fact is again that Fukushima is definitely the worse nuclear disaster in all of our history and will continue to be a disaster for decades to come. The leader of ISIL/ISIS, Abu Bakr al-Baghdadi, is a Jew. I never hear the Jews crying about all of their fellow Jews pretending to be "Muslims", unto mass-murdering Islamic Jihadists. Lots of Jews deeply involved in all the Islamic Jihadist groups [including Israel-Created HAMAS]. We are expected, as per the mainstream media, to hate and want to kill all the Palestinians because they're somehow Islamic terrorists [ even though HAMAS is owned and controlled by Jews], yet we're expected to want to be allies with Islamic Jihadists in Syria. AND we're expected to worry so much about Jewish "suffering" even though it was Jews who attacked the USA on 9/11, an Immense Jew War Crime Against the USA. I never hear any Jews, or Jew, cry about the suffering Jew Terrorists inflict on us Americans or the suffering Jew Terrorists inflict on the peoples of the Middle East.
" Abu Bakr al-Baghdadi A Jew"
"US Military College Alan Sabrosky Israel Did 9/11"
Until the Jews en-masse start protesting real hard and real loud against all their fellow Jews pretending to be "Muslims", unto murderous Islamic Jihadists, I won't believe anything any Jew has to say about Jewish "suffering". ISIS, headed by a Jew, killed those 3 Jewish Israeli teenagers. ISIS admits it, the Israeli government now admits ISIS did the killing. In other words, Jews killed those 3 Jewish Israeli teenagers. Albeit Jews pretending to be "Muslims". That's one thing the Israeli government, nor any Jew, has yet to admit, that ISIS itself is headed by a Jew and is owned and controlled by the Jew Mossad. Lets see if Joan Rivers gets "righteously angry" about that, or any Jew for that matter. Joan Rivers has yet to get "righteously angry" her Jew tribal members attacked the USA on 9/11 KILLING 3,000 American civilians. In fact, I don't hear any Jew upset about the Immense Jew War Crime Against the USA on 9/11, but we're expected to be so worried about Jewish "suffering" all the time, as so many Jews pretend to be "Muslims" unto murderous Islamic Jihadists and KILL Americans here on 9/11, along with yet more Jews pretending to be "Muslims" KILLING Christians in the Middle East and any Muslim who doesn't want any part of Islamic Jihad. An early thought of mine was that Fukushima may have been targeted because of it's name as much as anything else. Hiro-SHIMA for example. I don't know whether "shima" has any significance to the Japanese, but it doesn't take a genius to read Fukushima as "fuk-u-shima" as if the vermin are sending a clear "fuk-u" message to "Shima", whatever that may be. All we can be certain of is that the jew's ultimate aim is the complete destruction of our world, a world they have no legitimate place in, and which they HATE with every atom of their worthless bodies. The plague that has afflicted Humanity for millenia is far worse than any manufactured "virus" and MUST be cured if our WORLD is to survive. Why tolerate a deadly disease that could easily be eradicated by the application of rope and lead? Barney.. I have no qualms with your comment at all.. It is done very well and I thank you for your input.